Why Direct Shift Gearboxes need different fluids. 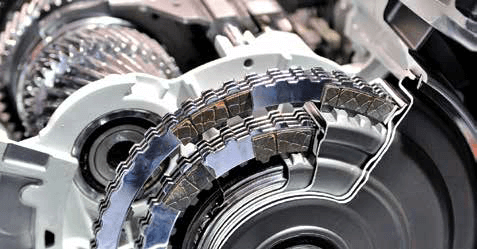 Effectively a DSG – Direct Shift Gearbox (also known as DCT – Dual Clutch Transmission) are the clever combination of the best parts of a Manual and Automatic transmission. Providing the economy and performance of a well driven manual transmission, with the relative ease of an automatic, as the transmission looks after the clutch operation and timing. This is a new and evolving approach to power train design, and as such the engineers from various OEMs are developing different ways of addressing the technical challenges. Firstly, perform the function of an automatic fluid for the clutch pack systems, providing control to the clutches while also being the friction fluid for the clutch packs to provide smooth and consistent operation of these critical components throughout their service life. At the same time, they provide the lubricity and shock load protection required to keep the manual gear train operating, while assisting synchronisers to speed match the gears on shift to provide smooth split-second shifting. As OEMs employ different controls and materials for the clutch systems (even within their own range) this drives the need have different performance characteristics within the fluids. FUCHS works closely with a number of OEMs to development fluids to excel at the various requirements of each OEM’s design. This means FUCHS is able offer the right fluid to support the majority of transmissions in the market whilst ensuring the expected performance, durability and feel of the original design is maintained. There is more to hydraulic systems in a modern passenger car than just a basic pump to drive the power steering. In the interests of fuel economy there is an increasing number of electro-hydraulic power steering systems on the road, small self-contained units that use an electric motor to drive a hydraulic pump only when required to deliver power steering assistance – similar systems are used for the actuation of convertible roof mechanisms, both applications due to their design requirements need specialised fluids. Some passenger cars use centralise hydraulic systems to operate all the fundamental systems; brakes, suspension, power steering, and convertible roof actuation, etc – as you can appreciate using the correct and approved fluid in these applications is critical. FUCHS works closely with a number of and internally to a development approved fluids to excel at various requirements of each OEMs system, and FUCHS offers a range of industry-renown and OEM approved specialty hydraulic fluids required for the trouble-free performance of these systems.